Also known as the Windy City, The city of Chicago is the second most visited city in the United Statesm just after New York. Many tourists visit Chicago during its hot summer months. Chicago is a city full of tall modern buildings, a pioneer in urban architecture and a must see for those who are interested in modern architecture. Along with its modern architecture the city offers so much more: it is a lively city with dynamic nightlife and many beautiful museums. Annually there is plenty to keep tourists interested with numerous festivals, events and attractions such as; the Sears Tower, the Magnificent Mile, the Old Water Tower, the Cloud Gate, the Navy Pier, the John Hancock Center, the Chicago River, the Lincoln Park Zoo, Grant Park, Buckingham Fountain, the Tribune Tower, the Museum of Science and Industry, Crown Fountain, Shedd Aquarium, the Millennium Park and spending an afternoon on the beach. During the winter months the temperatures drop to sub zero, creating a beautiful, snowy scene perfect for that Christmas escape. 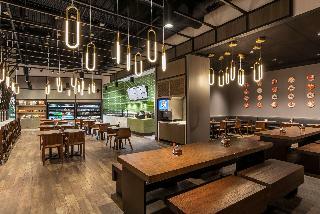 Aloft hotels are the new twist in travel from Starwood Hotels & Resorts. A vision of W Hotels, the Aloft Chicago O'Hare is a bold, fresh, and fun new hotel featuring loft-inspired design and always-abuzz public spaces. Perfectly positioned for an easy.. Guests in town for an event at Northwestern University or to visit the campus can get there easily from our comfortable Morton Grove hotel. We're located close to Advocate Lutheran General Hospital and a short distance from the biggest area companies..
Clarion Inn is strategically located in I-80/294 corporate corridor near to all major express way. Only 15 min to Midway Airport. 20 miles from downtown Chicago. Minutes from famous restaurants and shopping mall. We offer Free High Speed Internet with.. This cosy Hotel is situated in Aurora. 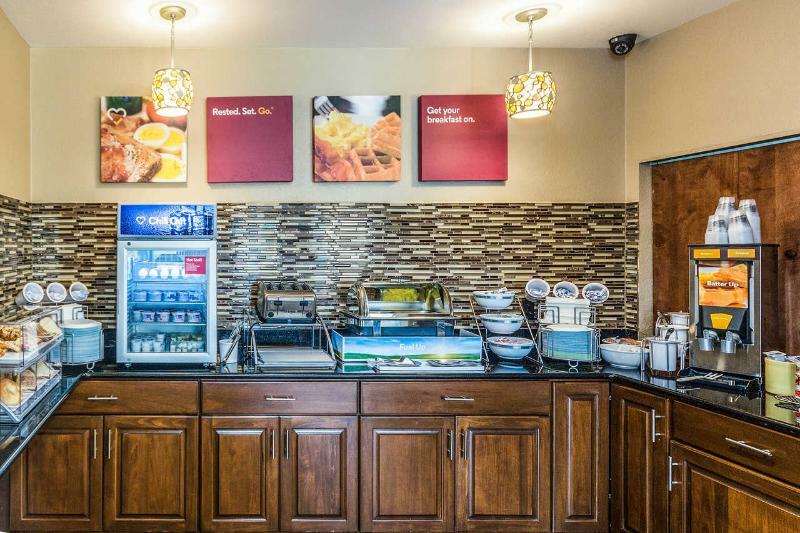 Comfort Inn Hoffman Estates is located near Woodfield Mall, Sears World headquarters, ATT, Willow Creek Community Church, Sears Centre Arena, Cabelas and Arlington Park Racetrack. The hotel features complimentary breakfast with waffles, complimentary.. Welcome to the Comfort Suites Michigan Ave/Loop located in the heart of Chicago. Within a short walk of Chicago's famed theater district, less than a half mile from The Magnificent Mile and less than a quarter of a mile from the L, you have complete access..
Overlooking Downtown, Lake Michigan and the Museum Campus, the stylish Hyatt Regency McCormick Place Chicago enjoys an excellent situation in the South Loop of Chicago. It is connected via enclosed sky-bridge to North America's largest convention centre..
Hotel is newly renovated. Located in the western suburbs of Chicago that is both convenient and affordable. Guest rooms have everything you need while traveling. Adjacent to restaurants, theaters and shopping at Fox Valley Center. Rooms include 32-inch.. Welcome to the newly-renovated Sheraton Suites Chicago Elk Grove – an exciting transformation in comfort and warmth. Our 251 newly-renovated two-room suites offer the renowned Sheraton Sweet Sleeper(SM) Bed, ergonomic desk chairs and plasma TVs. The..
Property Location With a stay at Sleep Inn Midway Airport Bedford Park in Chicago, you'll be near the airport and close to Marquette Park. This hotel is within the vicinity of Toyota Park and Advocate Christ Medical Center. Rooms Make yourself at home..